Hope you all have a great 2010! Merry Christmas & Happy New Year from Oz! To all our international friends, Christmas 'Down-Under' is a summertime thing; families will congregate in parks or on beaches for a BBQ lunch, or in the family home with the traditional roast. 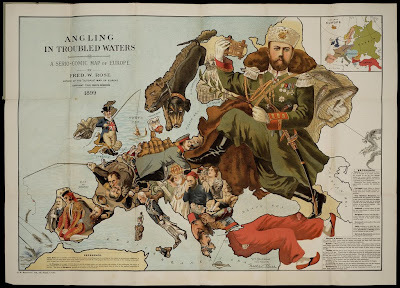 But times change and more and more we see the turkey replaced with plates of seafood. This change of cuisine really seems to be more favorable to our climate. Being an island nation, seafood is in abundance and what the Americans call shrimp, we call prawns and they're huge! Scallops (not slices of potato! 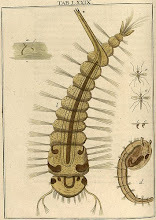 ), lobster and calamari are just easy-to-obtain delicacies. It was stated on our morning News this week that the Sydney market expects to sell around 1.6 million oysters alone for the Christmas break. Extra cold beer and red and white wines are the beverages of choice, all taken in copious amounts! So, sit back and think of us while you're sipping your egg-nog or your Gluhwein around a cosy fire and raise your glasses to us poor buggers Down-Under who have to tolerate 30C (80F) heat, as we struggle to throw another Prawn on the barbie! At home we dress in shorts, Ts and flip-flops and on the beach, Speedos (budgie-smugglers). Anyhow, all of that bulldust aside, we wish you a wonderful season and blessings for 2010 and beyond! sitting under the Grappa Grotto. About three years ago I received a phone call from an old friend of mine Hugh Monroe, with a 'G'Day Mick, I have just been given this huge box of old hooks dating back to 1880s, they are no good to me can you use them?' Well, being a bit of a hoarder of all things that capture my interest, I simply could do nothing but accept. In due course the box turned up; it was good enough to make my hackles stand up. This collection had been dry stored in an old barn for close on one hundred years. 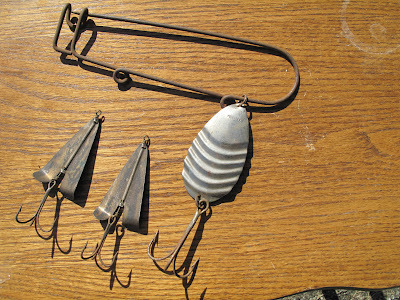 They were from a time when Salmon hooks were blued, not enameled as they are today. 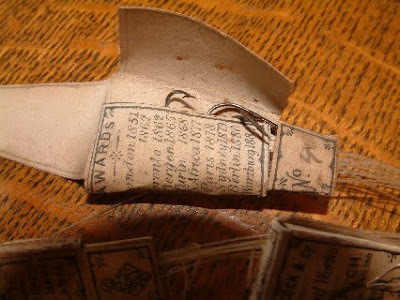 Some of the smaller hooks were attached to gut and were packaged in bundles with an award date of 1880. On top of the bundled hooks there were at least a thousand loose hooks of all shapes and sizes. As you can imagine they were covered with a hundred years of grime and some were even a little rusty. The job of cleaning them up a little took hours and I still haven't finished. I sorted out heaps of different models. 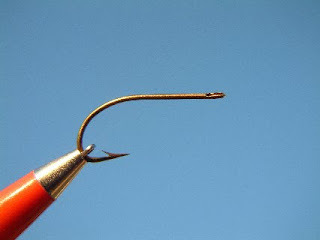 Some I had seen before whilst others I had only heard about, such as needle eyed hooks. Some of these were up-eyed some with the eye on the side and mostly with the eyes in a horizontal position. 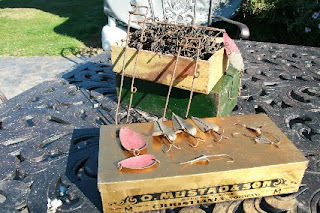 The old Mustad box as shown is part of another collection but what was a surprise was a selection of lures. They were entangled amongst the pile of those old hooks; you can see them laid out on the lid of the gold box. But look again, resting on the wooden box at the back is what looks like two very large safety pins; these are in fact a part of history that is no longer with us. Back in the early days of Australia there were many very large fish in a lot of our northern streams we call Murray Cod. These guys can grow up to a hundred pounds plus and if a small bird or possum fell into the river, they did not last long. 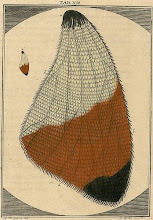 Our great-grandfathers knew of this and they would capture a a possum or a parrot we call a Galah, kill it and then impale it on the safety pin and troll it behind their boat as they drifted down stream. Cunning old buggers they were. As I stated earlier, most of the old Salmon hooks were blued not lacquered as is standard today. 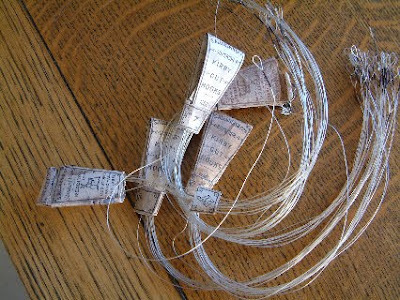 This is another guide to the age of these hooks as it was late in the 19th century when they developed the lacquering process. 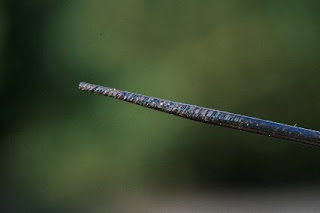 These Salmon hooks were also made in the blind eye; that is the shank is tapered to allow gut to be attached and they even placed grooves along the shank so that the gut could take a good grip. 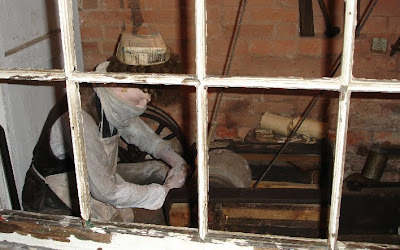 A few years ago I had the opportunity to drift through the hook museum in Redditch England and sadly the history of the hook is not very nice. It was exploitation in its truest form. 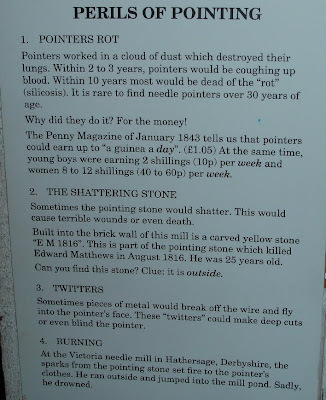 As an example, they hired children as 'pointers' to sharpen hooks and normally within ten years they were dead, as the picture below explains. 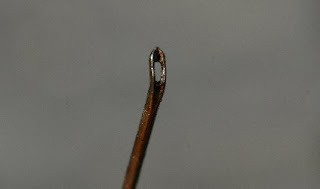 Most think that hook makers were just that, hook makers but the key business was in fact needles and Redditch was the needle centre in the world, as they were for a very long time the world's best hook manufacturers. 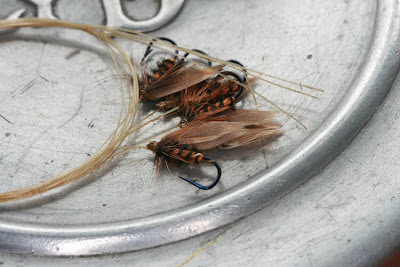 Not long after I received this fascinating package I made contact with the guys on the Classic Fly Tying forum and what a help they were, especially our own Aussie Salmon fly tier, the very talented Bob Frandsen from Nicholson in Gippsland in south east Victoria. So I sent a handful of hooks to Bob and he really got into the cleaning business but I will let him tell his own story. 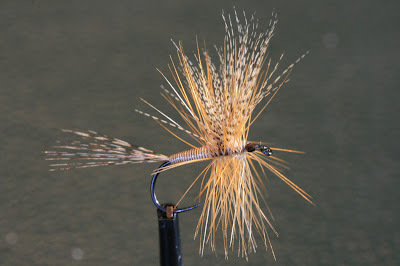 "A couple of years ago I was browsing the posts on the Classic Fly Tying forum where I am a member. I came across this item from a bloke calling himself the Bug-Whisperer who put up these pics of some very old hooks someone had found in a barn and which he was trying to get some information on. The nearest he could ascertain datewise was that they were from about 1900 or earlier. 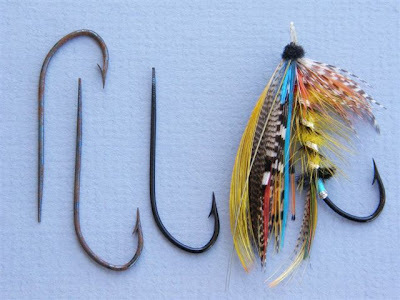 Amongst them some very nice blind eye hooks with a blued finish, about 2/0, which looked promising as far as tying the old classics on, so, as you do, I put in a message (tongue in cheek) stating that if I could have some forwarded to me I would check them out personally. 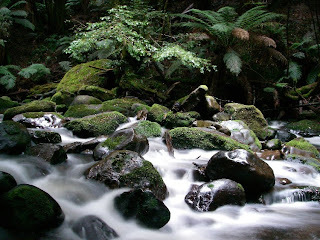 Sitting in my office doing those things that are necessary and tedious, it is difficult not to think of Spring and walking the banks of many of the little streams that surround the charming little village of Eildon in North Central Victoria where I live. The steep-sided valleys that abound in this district hold some of the most picturesque mountain streams and to my mind, they are unequalled and stand alone. 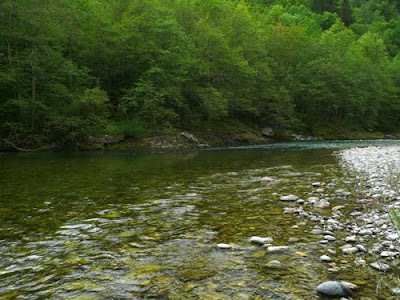 Their bubbling waters are home to both Brown and Rainbow Trout. 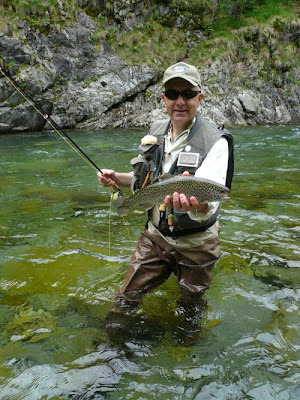 Rarely larger than 500 grams, these magical little fish feed freely and often take the artificial fly with gusto. Countless hours can be lost strolling their banks, watching the bird life and other animals going about their daily business. Flicking a fly so that it drifts around a partially submerged boulder or along the edge of some overhanging tussock just seems a pleasant thing to do. 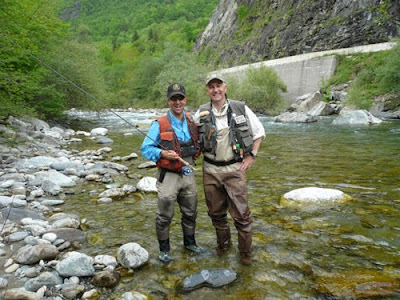 It does not seem to matter if you attract the attention of a trout or not, the beauty of just being there makes life worth living. 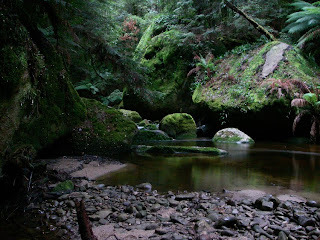 I personally have a very close affiliation with a little river not far from my home. Over the years I have become aware of its moods and how the seasons can change its character. 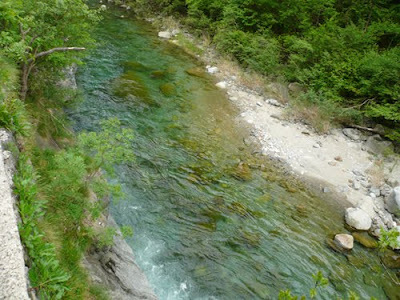 Newly fallen trees will change the course of its flow. 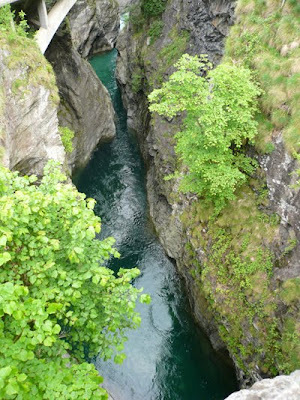 Pools that were once highly productive become dormant, and vice versa. To fish these water continuously as I do, I somehow feel I have developed a special relationship that I tend to believe is mutually shared. 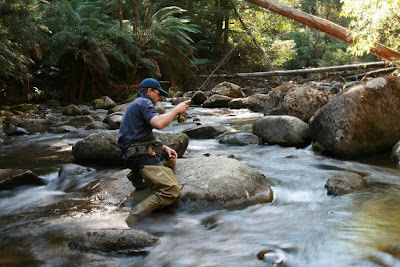 There are many fish that I have caught in this stream more than once; these trout have become like friends and when they are taken or die, there seems to be a loss of balance that takes some time to repair. I am a great believer in that old saying of the great Lee Wulff that a good fish is worth catching more than once. In today’s world, where it seems there are as many fishermen as fish, it is easy to believe in the philosophy of catch and release. There are many firsts in life and most we cherish. 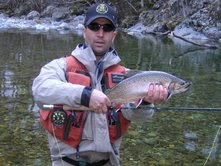 To a fly fisher the first trout that actually takes your fly is one first that stays deeply embedded in your soul. It is not just the fish, but it is also the feeling of achievement, knowing that you can do it and that it’s a first stepping-stone to a lifetimes journey. My Grandson's first trout on a fly (so proud). I can tell you there is no secret handshake in this organisation but there is at times a lot of side glancing, a touch of greed, extreme competition, envy and heaps of one-up-man-ship. Hopefully by now you would be thinking, 'what the hell is the Joseland society?' Well it is a book collecting club specialising in fishing books. Why the name Joseland? 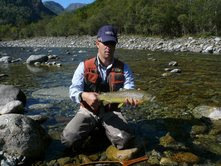 It was named after Howard Joseland who wrote Australia's first book on fly fishing way back in 1921 "Angling in Australia and Elsewhere". 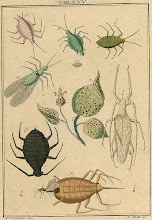 A small group of ardent collectors started the society around twelve to fifteen years ago. Back in those days we wanted to keep the numbers to a minimum of twenty. Security was one of the reasons as some of those guys had a serious investment in their collections, plus we wanted something easy to manage. It was not long before the word got out that such an organisation had been started and a waiting list for membership began to grow. I suppose you could say we were a little surprised at the reaction that it had generated. Well times change and today the Joseland Society is open to all those who share the same interest and its membership is now Australia wide. Joselands, as it is loosely termed nowadays, only meets around three times a year. The meetings are held over dinner followed by a book auction. They are light on business, heavy on eating good food, talking books and buying books and occasionally some fishing tackle. Over the last few years we have seen a dramatic increase in the collecting of Australian and New Zealand books. Some of the rare works that have come across the podium for auction at Joselands in recent times has been incredible and the prices paid for these rare works is somewhat breathtaking, running into the many thousands of dollars. That is truly a result of supply and demand. At any meeting books can sell for just a few dollars, right up to serious investments; that's the way book collecting is. 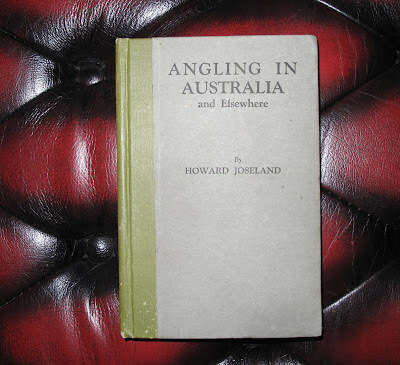 The Joseland Society has produced two 'members only' books, one a reprint one of Angling in Australia and Eslewhere by Howard Joseland (40 copies) leather bound and boxed with a fly (The Bredbo designed by Joseland in 1896 tied by Mick Hall and inserted on the fly page). 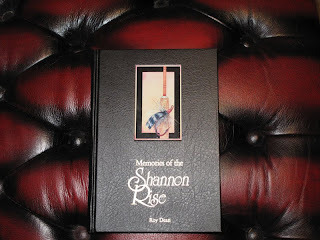 The second work was a new work published by Michael Stevens of Launceston, 1998, illustrated by Trevor Hawkins, entitled Memories of the Shannon Rise by Roy Dean. This time only 38 were produced. 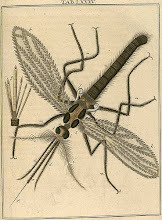 Again this work was leather bound with a Shannon Moth tied by Mick Hall inserted into the inside of the front cover. As you can imagine both these works are the envy of most, if not all, serious collectors. There is even talk of other works being produced and I guess we will only have to wait and see what eventuates. Can you join the Joselands? Yes, you can. Contact me and I can put in touch with the Secretary; it is no big deal. 'Time, tide and rising trout wait for no man'. Seasons come and go and with each season new lessons are learnt; some we hang on to, others just drift way back into the memory. Trout caught or lost also leave an implant; a perfect example of this happened a while ago. It was on a Monday the 28th of November 2005; I was fishing on the Rubicon River with Lyndon Webb and showing him a short line nymphing technique that I frequently use. 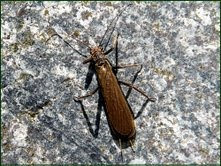 As I stood beside Lyndon in knee deep water watching intently as his nymph drifted back down towards him, I felt a slight bump on my right leg. I took no notice as I was too absorbed in what was going on, until it happened again. To my utter surprise when I eventually did look down, a large trout had taken up station beside my leg. The fish would have been close to 2 kilo in size. 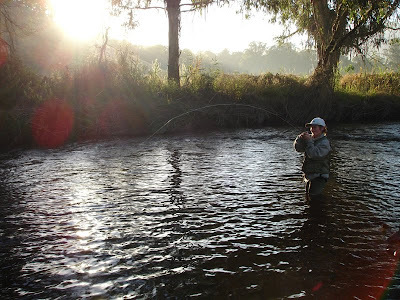 Those who fish this wonderful little river in Central Eastern Victoria will know that this is a very large fish for that water. Did we catch it? No, it simply swam over towards Lyndon and slowly drifted down away from our range of sight. Each time you walk past a point of battle the scene is flashed back and it in turn leaves the hope that your opponent is still there, maybe just a little larger than last season and maybe a little wiser. 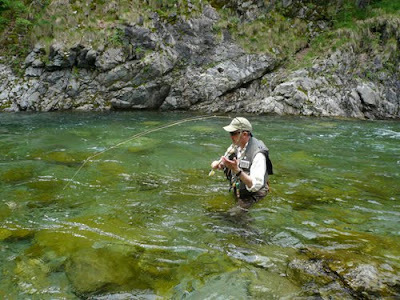 Such is the life of a trout and the trout angler. I met Nik via the Sexyloops fly tying forum where he is a frequent participant. 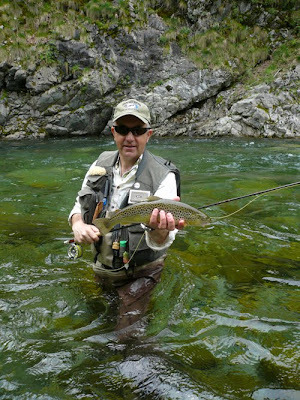 His passion is tying flies and of course fly fishing.